Collision Rules and Solo Sailing! 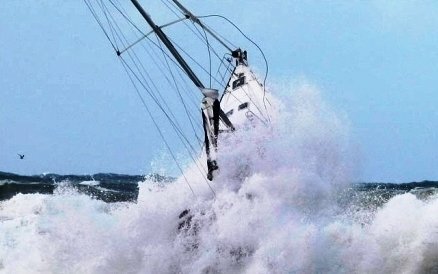 What about safety at sea and Collision Rules when sailing solo? There has always been a big debate! Why? International Regulations for Avoiding Collisions at Sea! These Rules shall apply to all vessels upon the high seas and in all waters connected therewith navigable by seagoing vessels. Every vessel shall at all times maintain a proper look-out by sight as well as by hearing as well as by all available means appropriate in the prevailing circumstances and conditions so as to make a full appraisal of the situation and of the risk of collision. My experience has only been in sailing solo on coastal sailing holidays, with the longest time at sea being 26 hours with no sleep. So I can only speak from others experiences on safety at sea when sailing solo. 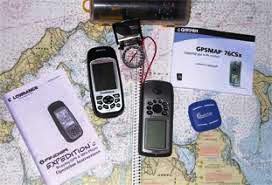 The main issue is that it is impossible to keep a proper watch when on sailing trips off shore. Some single handed sailors find the answer is to sleep about 20 minutes at a time using an alarm to wake them up. The reasoning behind this is that is about how long it takes a ship to be seen on the horizon from a small yacht. So wake up ... check the horizon, plot your position, trim the sails and another 20 minutes sleep. Tough? Yes! And there’s a question here on the toll it takes on your mind and body, is that smart? If you get too tired then perhaps heave too ... in daylight ... and take a few hours sleep. Shorten all sails while sleeping and still set the alarm. In daylight you can see ships better and they hopefully can see you. 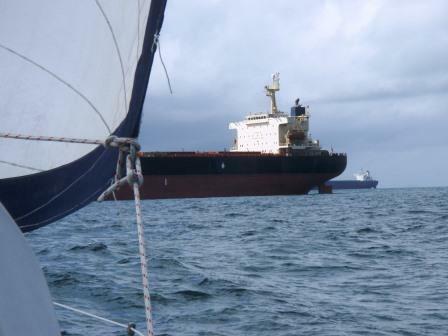 A tired sailor may make mistakes that have consequences as bad as being run down by a tanker. Others say a 24 NM radar set for 2 min sweeps every 15 min with the proximity alarm set while the sailor sleeps, this can be argued as complying with the collision regulations and safety at sea as best a single hander can, and avoiding shipping lanes. No matter how many radar reflectors you have you should be aware that many smaller freighters don't keep their radars on. Nothing replaces a good watch for safety at sea. Some believe offshore single handing is not so bad because there are fewer hazards out at sea... no rocks, buoys, reefs or submerged sand bars in the middle of the ocean. There are other vessels, you generally see more close to land, which comes back to the issue of keeping watch. There has been a lot of controversy on the very young solo sailors in their teens doing circumnavigations of the world to break records and follow their dreams. Does this comply with the Safety at Sea regulations? One of these is Australia’s Jessica Watson in her yacht Ella’s Pink Lady, an S&S (Sparkman and Stephens) 34. Click on her name to see a great video on her and her yacht. Jessica is just 16 years old and after an early collision with a Tanker which made her turn back for repairs there where a lot of people with strong views on her age, experience and the issue of solo sailing. Today marks Day 60 of Jessica Watson’s solo circumnavigation and she is currently at a Latitude of 42°S, having entered the zone referred to as the ‘Roaring 40’s’ with strong, cold westerlies predicted in the coming weeks. We all have our differing opinions on this subject ... what maritime safety regulations say ... whether the young should be allowed to just go off and follow their dream ... whether the parents should allow or encourage it! We could debate it all day ... and still go round in circles ... so I won’t give my opinion! There is also single handed sailing with someone who is incapable or not confident of any contribution although they are on board. 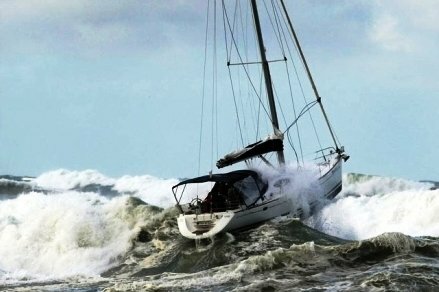 This can actually be a liability and make sailing more stressful and difficult. On a voyage to Tonga with 5 people on board I ventured on deck a number of times to see the watch person fast asleep. I wonder how many "skippers" actually sail single handed when they have a crew and "think" that are they are on watch? Then what about our hero’s the solo sailors in races like the Vendee Globe, and the record setters, aren’t they violating the collision regulations as far as safety at sea? Ellen McArthur, Dee Cafferty (above), Samantha Davis just to name a few of the amazing female sailors that battle the elements! Solo sailing may not be considered smart ... but for many its a challenge or they feel there is no alternative!! 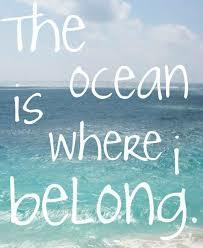 "You cannot discover new oceans unless you have the courage to lose sight of the shore!"